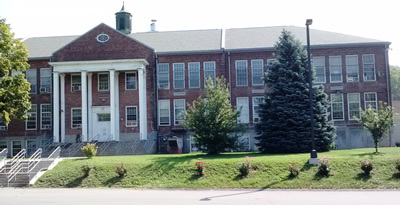 Industry Residential Center (IRC) is located 16 miles south of Rochester, New York, and is accredited by the American Correctional Association. It consists of two campuses known as Upper Campus and Lower Campus. Upper Campus is an 80-bed facility which houses 'Raise the Age' youth. Lower Campus is a 50-bed facility that houses youth adjudicated prior to the age of 16. Youth are in modern, single-story units. The individual units have a large multi-purpose area that can be used as program space in the evenings and on the weekends. 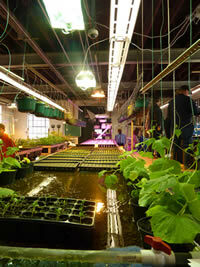 Each campus has a separate education building and several vocational shops, outdoor recreation fields, and gardens. The youth served at IRC are male, adjudicated, juvenile delinquents who are placed with OCFS by Family Court. Counseling: The facility utilizes the New York Model and practices its principles with “TEAM” Concepts and small-group settings. There are two youth counselors for each residential unit. There is daily group counseling following the New York Model, along with Victim Awareness, Inner Visions, 7 challenges, Dialectal Behavior Therapy (DBT) and HIV/AIDS education. Each youth receives weekly individual counseling with their counselor and social worker/psychologist. Education: The academic curriculum provides academic instruction throughout the year, including summer school. Required courses for grades 7-12 include English, global studies, math and science. IRC complies with all Special Education Laws and provides an individualized education program to all youth who require one. Each campus has a library. 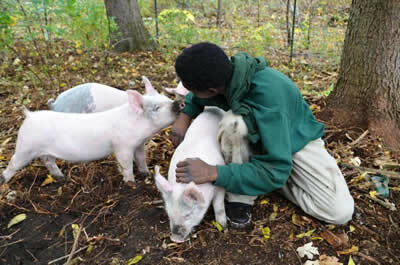 Vocational Opportunities: Vocational studies include courses inbuilding trades, building maintenance, culinary arts, computer technology, horticulture and aquaculture. Lower Campus also offers an On-the-Job Training program in which students work in the facility’s café, “The Dugout.” IRC also provides a work-based learning program that leads students to the CDOS credential. Health Services: A staff of health practitioners provide medical care every day. A dentist and dental hygienist offer dental services at the facility. Mental Health Services: A combination of psychologists, psychiatrists, social workers and mental health clinicians deliver mental health services such as individual psychotherapy, staff consultation, staff training and referrals for community follow-up care. Recreation: Each campus has a full-size gymnasium. Outside each unit there is an athletic field for softball, football, soccer, volleyball, and a blacktop basketball court. Youth can participate on campus in the satellite Rochester Boys & Girls Club. Community partners also provide recreational opportunities. Lower Campus contains a "confidence course" complete with an alpine climbing tower. Religious Services: The facility chaplain offers religious services for all faiths and local community volunteers provide mentoring and special events for youth. Pastoral counseling is available as needed. Visitation: Families may visit at any time with special arrangements, but are encouraged to visit on weekends between noon and 4:15 p.m.
Special Programs: Lower Campus has two specialized programs for youth, including a Sexually Harmful Behavioral unit with a capacity of 20 youth, and an Intensive Care unit with a capacity of 10 youth.